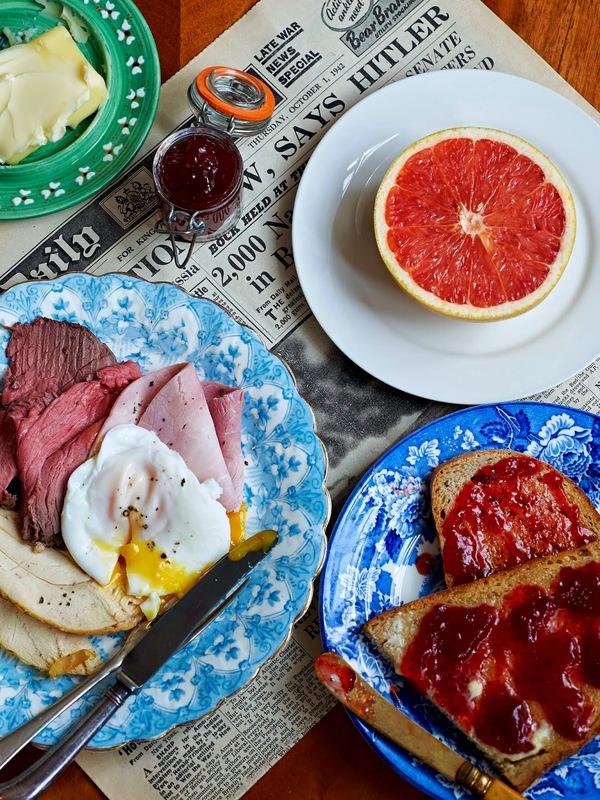 We all know that breakfast is the most important meal of the day, kick-starting your metabolism and giving you fuel to get you through the day - at least until lunchtime. 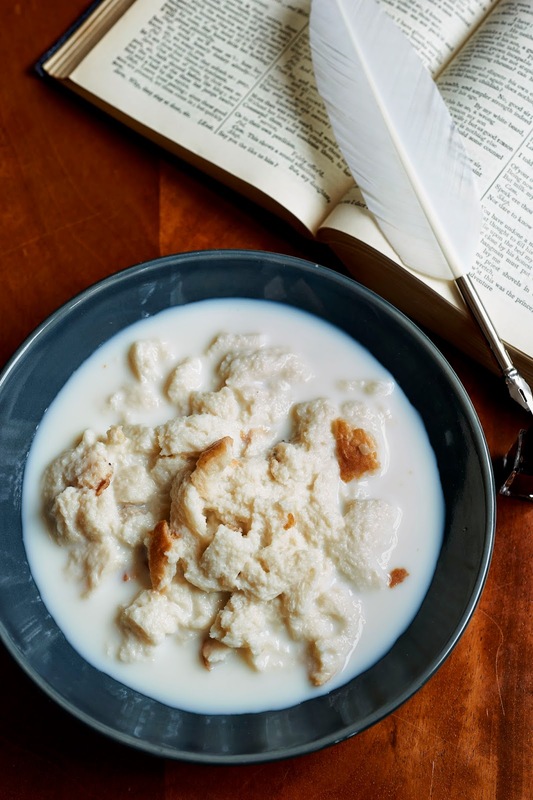 Whether it's your childhood favourites of tea and toast, cereal with yoghurt, buttered croissants or a full English, it's been proven that you'll perform much better at whatever you are doing for the morning if you break your fast soon after waking. Sometimes (usually after a skinful) it's hard to face it, especially in the very early morning, but do you think Albert Einstein would have developed the theory of relativity on an empty stomach? Or if Mother Teresa could have sustained herself on nothing as she helped the countless poor? Had Charles Darwin skipped his bacon and eggs, would we still believe the world was created in seven days? Ok, unlikely, but scientists have shown over and over again that people, particularly children, concentrate and thrive better from having eaten a good breakfast, and will go on to become more productive and healthy people. Send A Cow is a charity set up to help children in Africa get the best start to their days and who knows what could be achieved from this. Their approach is to help end poverty by promoting a powerful mix of practical farming, emotional support and a culture of sharing that is changing the future for millions of African families. 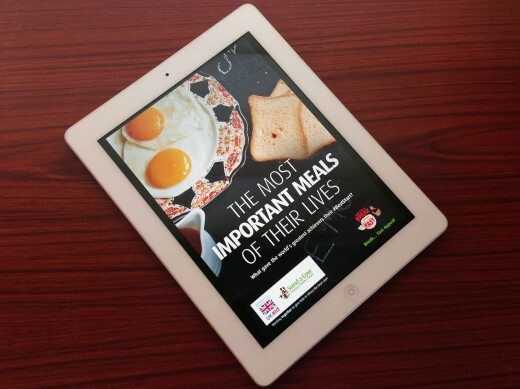 Send A Cow Recipe Book is a wonderful collection of recipes featuring the breakfasts eaten by legendary people like William Shakespeare, the crew of Apollo 11, and Florence Nightingale. Find out what these inspirational people, and many more, living and dead, had for the most important meal of their lives. Think what you too could achieve. And you can help, by making a small donation (which will be doubled by the government until 30th June) to ensure some of the poorest children in Africa have a better chance of achieving their potential. Some of them just need a break...fast. I, for one, will be channeling Jane Austen, pound cake, tea, toast and cocoa. Cake for breakfast, then write a novel... yes please! 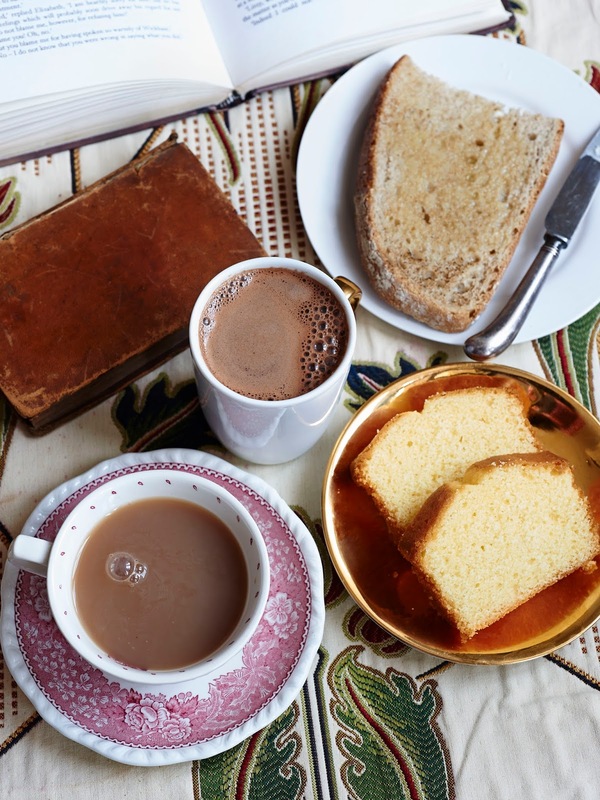 Jane Austen: Pound Cake, tea, toast and cocoa.